Tom Hill III - Hill's Gallery | airing Saturdays from 9 to noon on WATR 1320 AM in Waterbury, CT, WATR.com, TuneIn and SimpleRadio apps. . (Sponsors welcome!) Call-in at 203-757-1320. Tom Hill III, CCIM SIOR. 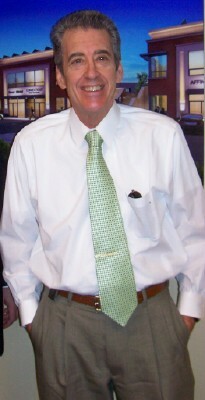 35 Years as a commercial real estate agent. Commercial real estate banker and expert. Tom is also a talented and experienced announcer. He has worked on radio for over 28 years, and is the voice of the Pat Griskas Triathalon and Lime Rock Park. He hosts a weekly radio show called Hill’s Gallery, where he mixes smooth jazz and conversation. The new season of Hill’s Gallery is scheduled to begin January 13, 2108. Sponsors are always welcome! Jay Rowe joins Tom to talk music and the business: Then Selim Noujaim joins him with some Lebanese jazz music. Chuck Sink joins Tom to discuss using a PR Pro, copywriting and marketing yourself on social media and other venues. Tommy Kendall joins Tom for a discussion. In the first hour of today’s show, Tom plays an eclectic mix of songs that showcase his musical taste. 2019 Season of Hill’s Gallery begins!